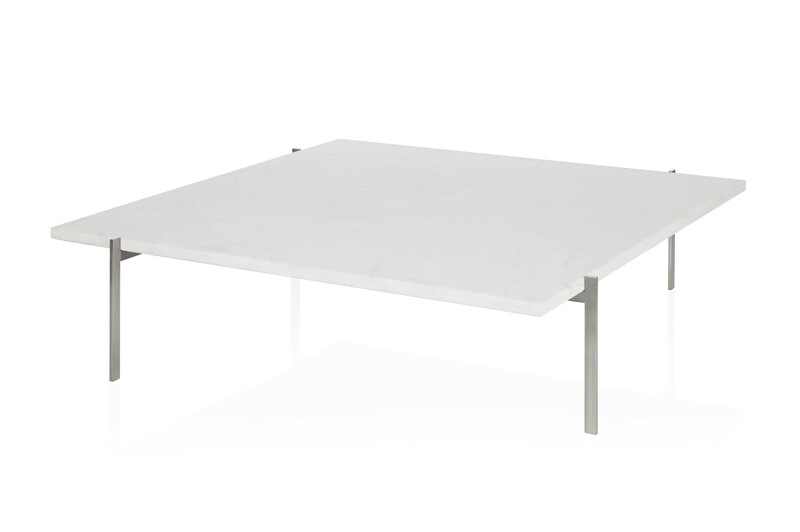 The coffee table PK61™ is almost as elementary and minimalistic as it gets from the hand of Poul Kjærholm. Despite the extreme distillation of the structure into a set of identical elements, the square and aesthetic design has the power of a manifesto and shows Kjærholm’s development from industrial designer to furniture architect. 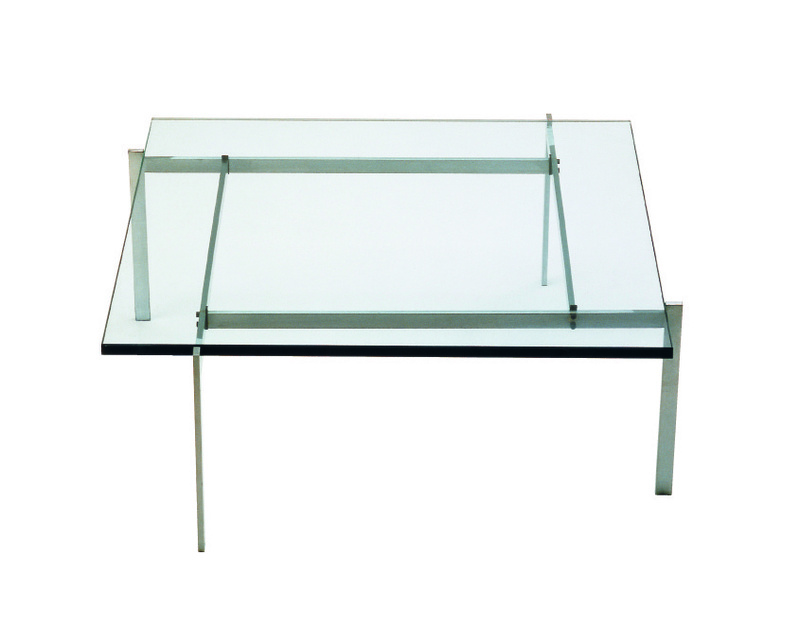 The four base elements are joined with machine screws that lend the table part of its unique look. 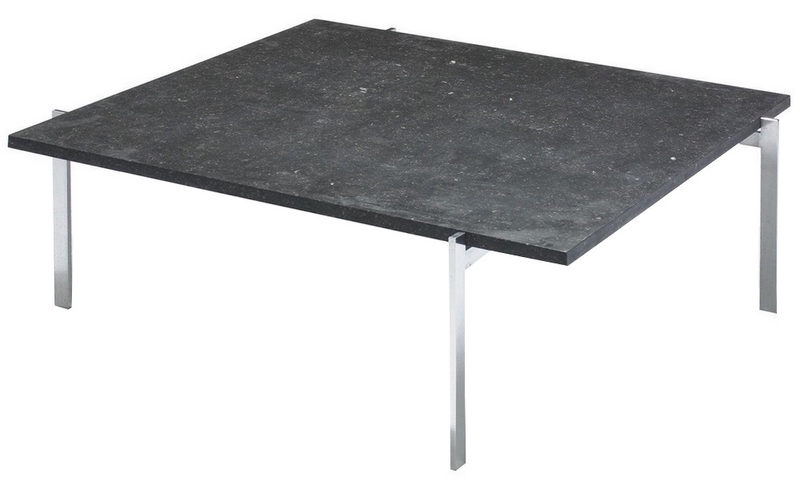 The removable tabletop demonstrates Kjærholm’s recurring principle of using gravity to keep the elements in place. 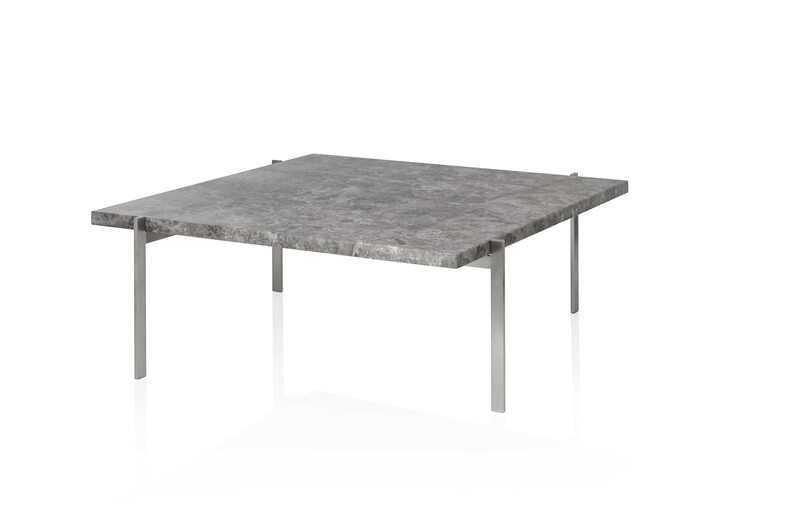 The PK61 tabletop is available in slate, granite, light steel-rolled marble or glass. The base is satin-brushed stainless steel. 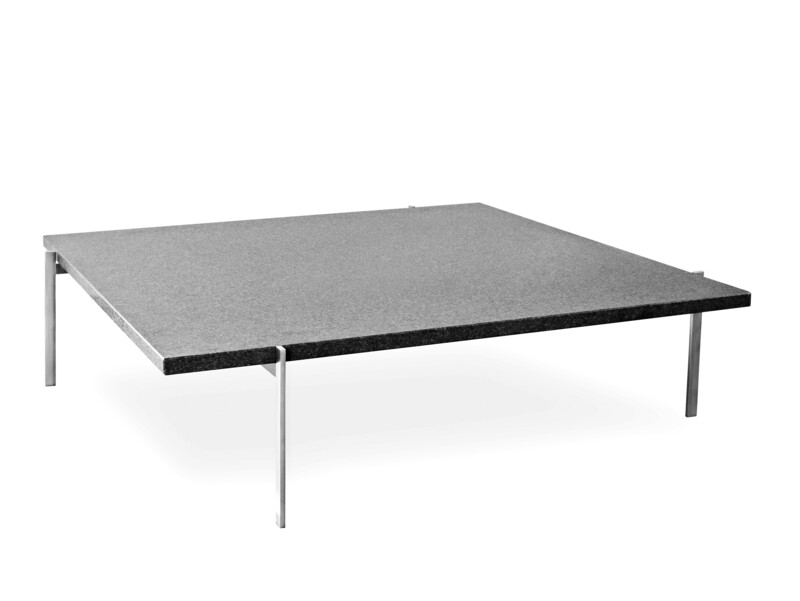 In 2007, the PK61A came into production, aside from the fact that this table doesn't come with a slate tabletop the PK61a has the exact same structure as the PK61. The measurements indicate the only difference between the two.